Energy Efficient: Since these units don’t use ducts, there is no place for air to be lost. Ultimately, the only place the air has to go is out of the unit and into the room, instead of traveling through ducts first. In addition to reducing the amount of energy lost and used, these systems also prove to be beneficial for your cooling bill, since they come with multiple thermostats allowing you to adjust where and for how long it is in use. Safe: When compared to typical window or wall air conditioners, ductless systems are often considered to be safer. This is because they don’t use combustible fuels and don’t really require any ventilation. Space Saver: Unlike bulky units, ductless systems are designed in a way that they can be suspended from ceilings or hung from the top of the walls. This means you’ll no longer lose your window space for the summer! Quiet: Say goodbye to noisy air conditioners that keep you cool but also keep you up at night. Installation of ductless air conditioners means that compressors and condensers are now located outside the unit, keeping it quiet indoors. For more benefits of ductless A/C systems, click here. 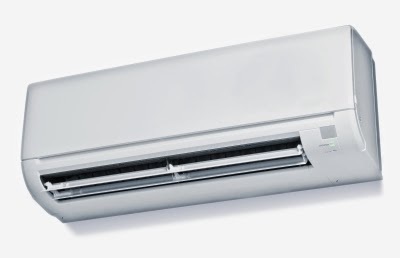 Are you ready to make the switch to ductless units? Here at Airtech of Stamford, we are available to install ductless systems to both the commercial and residential sectors. With over 50 years of experience, we understand the importance of being comfortable in your home or commercial building, which is why we offer services that can help! For more information on ductless A/Cs or to have one installed, contact us at (203) 323-3959 and speak with a representative today!